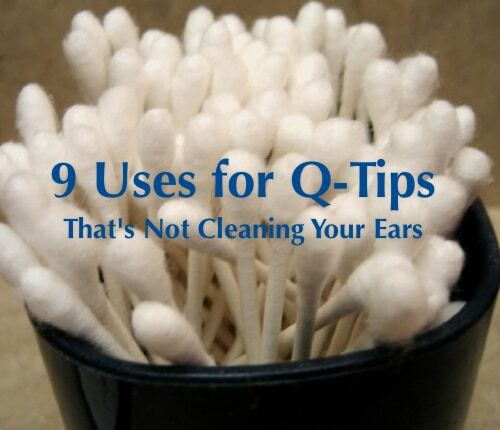 Q-Tips at our place are used primarily for two things: cleaning ears and playing fetch with the cat. Yep, we have a cat who thinks fetch with Q-Tips are the best thing ever. And yes, the cat only play with clean one. 🙂 We found an article, however, that explains 9 practical ways to use these cotton tipped applicators that just might come in handy.